Have you been looking for a spiritual home to teach your children about community values and ethics? A place of community that welcomes all people and faith traditions? Then you might want to give the UUC Surprise a visit! Unitarian Universalism is an ethics-based, liberal religion that values the individual spiritual journey and focuses on making the world a better place through deed and service. Unitarian Universalism stems from Christianity and then the union of Unitarianism and Universalism. We have become a non-doctrine, non-denominational religion that believes little bits of truths from most world religions. 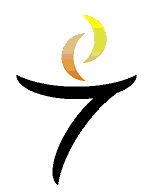 Our primary focus, however, is on the Seven UU Principles and how to live them every day to create a caring, fair, and loving life. Please contact Lisa Lawrence, the Director of Religious Education, if you have any questions about our Children’s RE program. For additional information, click on this link to our RE Facebook page. Otherwise, feel free to download a copy of our registration form, and email it to me or bring it with you next Sunday! Our children’s religious education classes are at 10:30am every Sunday and run from September through May. There are always two adults in each classroom for consistency and safety. To see an overview of our current class curriculum, please view our 2018/2019 RE Program Brochure. We use the Unitarian Universalist Association’s “Tapestry of Faith” curriculum to teach our ideas and ideals while bearing in mind the poignant words of the great visionary Rev. William Ellery Channing. This curriculum is supported with stories, games, crafts and songs. 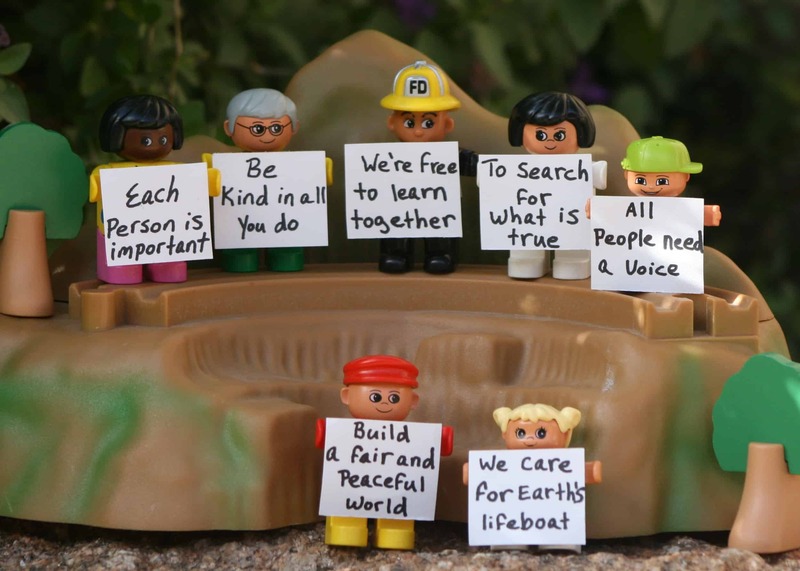 Children will learn about Unitarian Universalism, world religions, social justice and famous UU’s Throughout History. Additionally, each year the children also participate in local and international service projects that focus on social justice, and stewardship. Interaction with the congregation is also encouraged, and each Sunday the children join us in the sanctuary for the “Lighting of the Chalice” and “Story for all Ages” after which, they are sung-out and head off to classes. Infants are welcome to stay with their parents during our services. We have a space designated for families with infants in the back, right-hand side of the sanctuary closest to the choir room door. In the event that your young ones become fidgety and unable to make it through the service, you are welcome to retreat with them out into our social hall. The social hall is wired with speakers so you will still get to hear the service. Changing tables are in both restrooms. Each year our program continues to grow with families just like yours! There are many opportunities for involvement ranging from family social activities, service projects, special church events, and volunteer opportunities. Parental involvement is imperative to the success of the children’s religious education program. It is the parents and other caring congregational members that become our volunteer teaching staff so please review the RE Family Registration form. The church offers supervision of children engaged in Sunday programming between the hours of 10:15 a.m.–11:45 a.m. only, unless special arrangements have been made. Prior to 10:15 a.m. and post 11:45 a.m. parents/guardians are responsible for supervising their own children. Childcare may or may not be provided at special programming. A parent/guardian must be on the church premises while children are participating in classes. Children are not allowed in the back office area unless accompanied by their parent/guardian when classes are not in session. The Unitarian Universalist Church of Surprise may, with permission, record your child(ren’s) likeness, without any further identification, for use in print media, church displays, and in other ways they may see fit to further the aims of this church. Due to many severe food allergies in our children, food or beverage, other than water, are not allowed in the children’s classrooms. Parents are required to change their own child’s diapers. Click to see the brochure for details about registration and parent orientation. This week we are going to talk about loving yourself, loving others and being accepting of differences as we explore the first Unitarian Universalist principle, “The inherent dignity and worth of every individual” or “Each person is important”. Children will hear the story “It’s okay to be Different” by Todd Parr and draw self portraits that emphasize what makes them unique. St. Mary’s Food Bank makes bulk food deliveries to the Dysart Community Center where the food is then sorted into more manageable packages and distributed to food bank participants. Let’s get together and help fight hunger in the community and make a difference. Saturday 8:30 a.m. -11:00 a.m.
14414 N. El Mirage Rd.